Showing News articles tagged with events. Show all news articles. 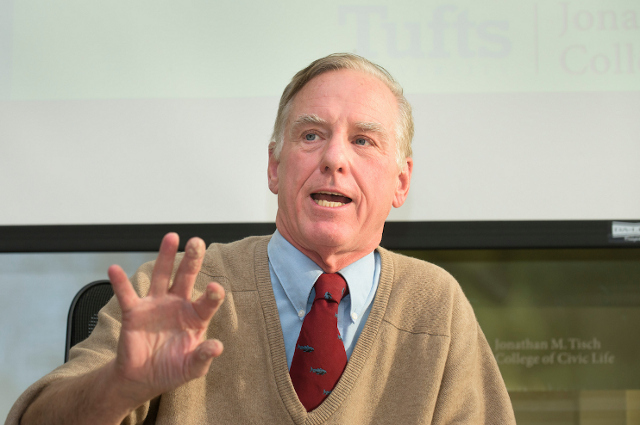 Former Democratic Party chair Howard Dean tells students it’s time the next generation stepped up politically. During a Civic Life Lunch, Prof. Cutcha Risling Baldy highlighted the value of online campaigns to raise awareness and inspire action. 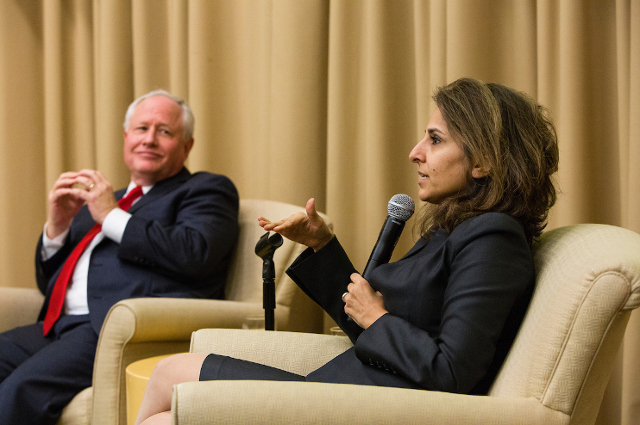 Democrat Neera Tanden and Republican Bill Kristol debated the future of the country as part of the Tisch College Distinguished Speaker Series. 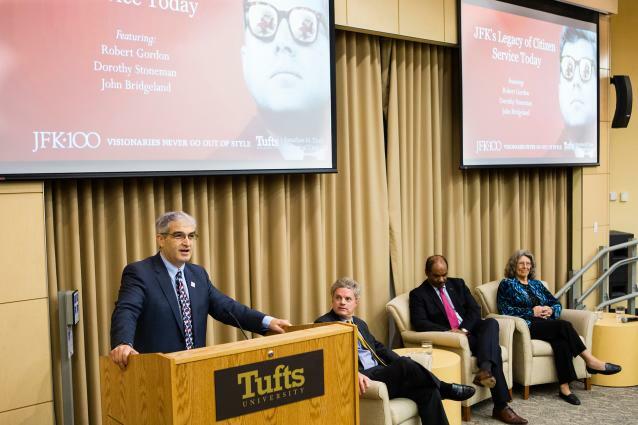 At a panel celebrating President Kennedy's centennial, leaders emphasized the potential of national service to solve problems and bring people together. Longtime activist Lois Gibbs says individuals must organize to confront environmental disasters like Love Canal—and Flint. Former U.S. 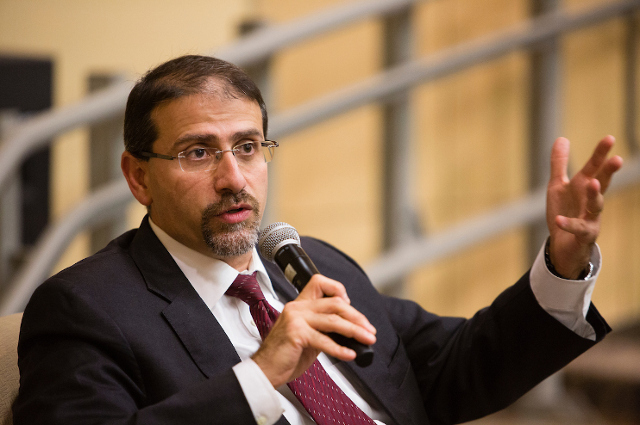 Ambassador to Israel Daniel Shapiro spoke at Tufts University as part of the Tisch College Distinguished Speaker Series. 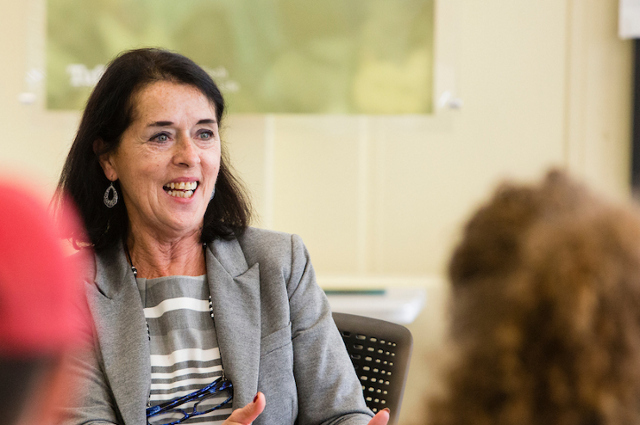 In the coming months we will welcome to campus leading authors, activists, policymakers and more to share their knowledge and expertise with the Tufts community and discuss issues central to civic and democratic life. 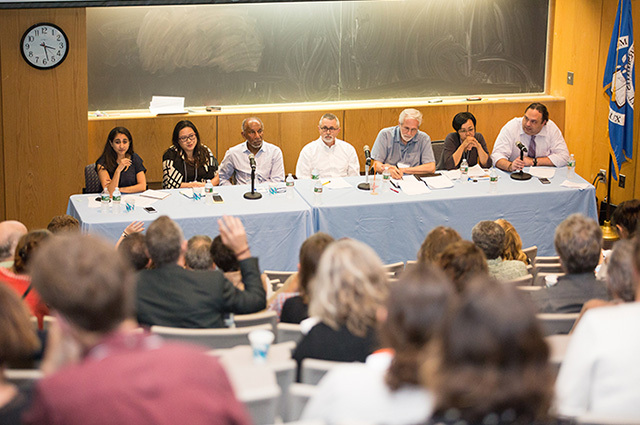 At Tisch College's annual conference, civic leaders, researchers, theorists, and practitioners came together to share ideas about this unique political moment. 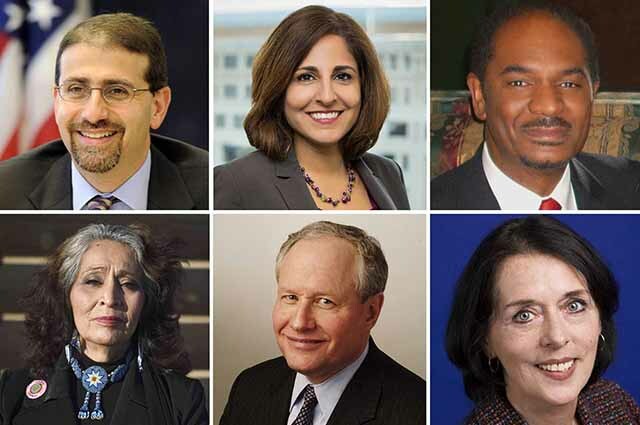 As part of our Distinguished Speaker Series, two former U.S. Secretaries of Transportation spoke about the bipartisan promise of improving infrastructure and encouraged students to "move from cynical to skeptical." 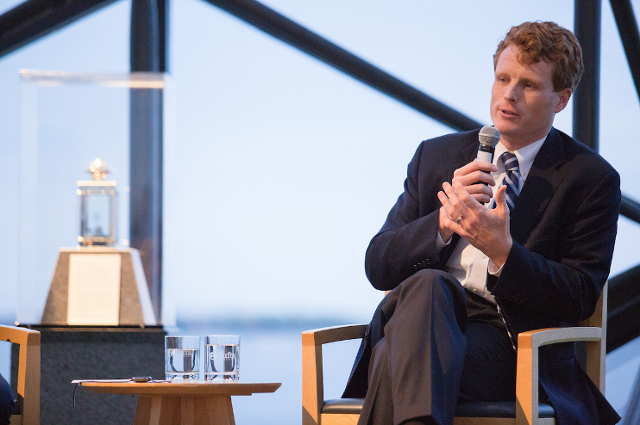 Tisch College hosted Congressman Joe Kennedy III at a special event at the John F. Kennedy Presidential Library and Museum.